The Cornflower is the national flower of Germany and Estonia. In France, it is a symbol of Armistice Day playing a similar role to the Poppy in the UK. Height: 60-90 cm / 24-36"
Hi, I have a nasty feeling I shouldn't have been feeding my container grown cornflowers (with trailing geraniums etc) as I haven't had any flowers- just lush foliage. Thanks for your comment. Yes, you're right. 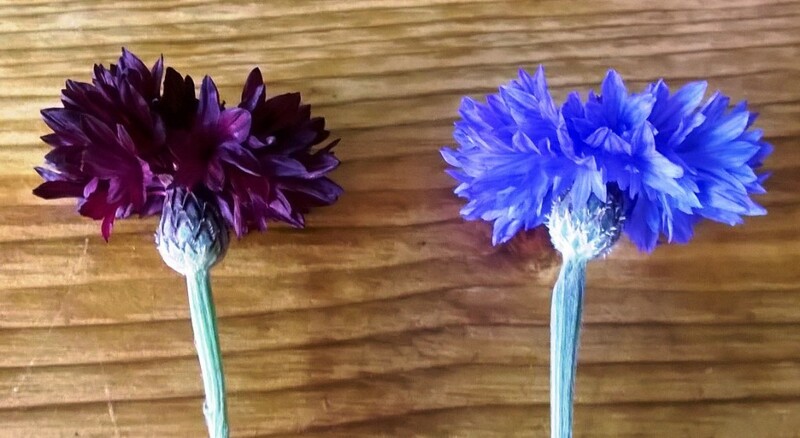 The cornflowers won't need the plant food and will just produce foliage rather than flowers. The geraniums will have appreciated it though!